In her early teens, Julie Renfro was lucky to have parents that recognized that she needed a horse to coax her out of her shyness. It worked! Julie was involved in FAA shows and projects with her horse. Early on she competed in Hunter Jumpers, Halter, English and Western Pleasure. 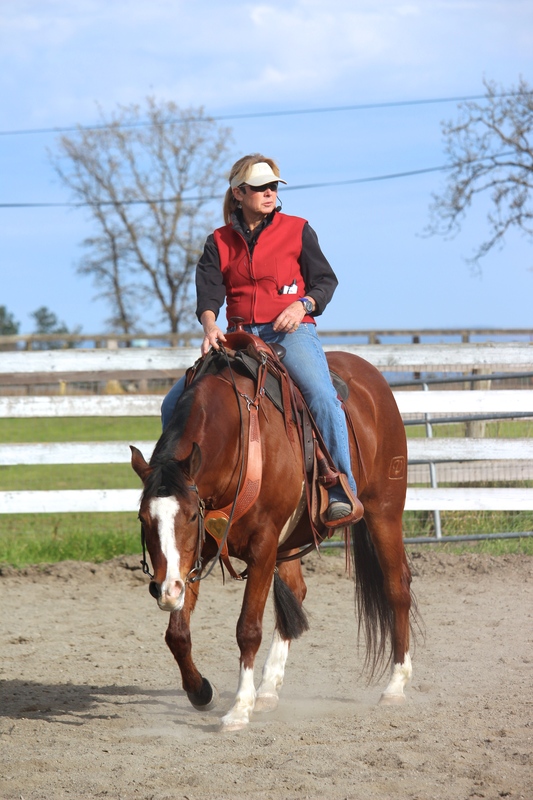 As time evolved Julie found that she wanted to bring out the best in her horses’ natural talents since she had a variety of breeds and color breed horses. Julie has had the opportunity to spend countless hours riding with professionals and equestrians that have inspired her continued goals. She has thousands of hours participating in and at Horse Expo’s, seminars and demonstrations. She believes there should be a balance of ground skills as well as riding and a respect for leadership. Julie has had the good fortune of being mentored by a select few horseman. Julie has owned and learned from many breeds of horses. “An Arabian horse has been the most consistent breed I have had. I have had a Padron son, Khemosabi ++++// grandson and a son of Maclintock V, Jamboree V. I‘ve found that the Arabian horse is the most versatile breed for what I want.” (Cow work, Dressage, Reining and trail riding). This is where Julie says she is attracted to Western Dressage. It takes so many equestrian specialties into account and offers a spirit of encouragement. After all, the competition is between the rider and the horse, not so much for the ribbon.